Supersub Luca Waldschmidt marked his 21st birthday weekend by saving Hamburg from a relegation play-off with a dramatic winner against Wolfsburg. Pierre-Michel Lasogga earned a nomination for the Matchday 33 #BLMVP award after his late equaliser against Schalke made sure the Bundesliga’s only ever-present club could not be relegated automatically. 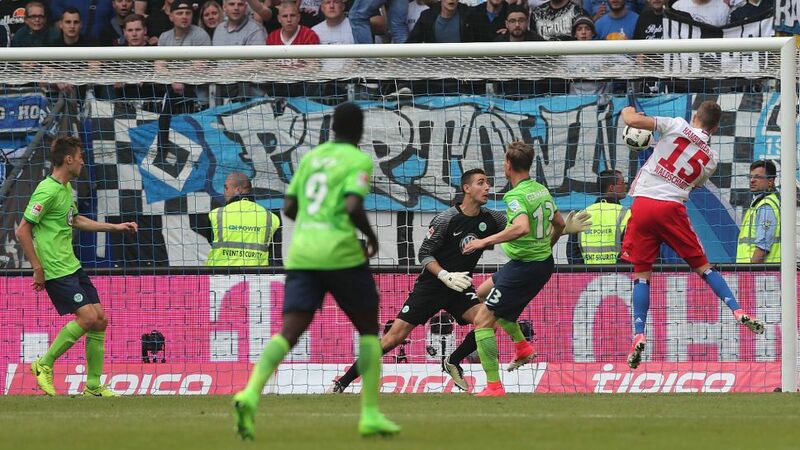 This week another Hamburg substitute scored a priceless late goal as Waldschmidt headed home in the 88th minute. His effort completed a come-from-behind 2-1 victory that condemned Wolfsburg to the relegation play-off instead of the Red Shorts. Not a bad time to score your first Bundesliga goal! But does Waldschmidt's dramatic intervention warrant the Matchday 34 #BLVMP award? Vote below! Waldschmidt scored only two minutes after coming on for Lewis Holtby.The former Eintracht Frankfurt player netted in his 29th Bundesliga match.The Hamburg number 15 had only seven touches during his time on the pitch against Wolfsburg – but one of them was vital.